Classroom Decorations from The Pedagogs are available exclusively from PTS. This great range includes bunting, borders and area signs, as well as Educational Posters for classroom manners, literacy and numeracy. 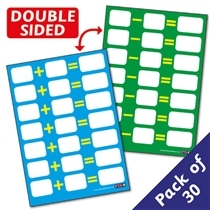 They are perfect for creating bright, child-friendly and informative Classroom Displays. View the full Pedagogs range here.